Verso: George Sinnock sent me this photo of his father John on the left and two other soldiers taken in England during WWI in 1916. See his letter in files. (April 23, 1993) His letter is written Apr. 4, 1993. 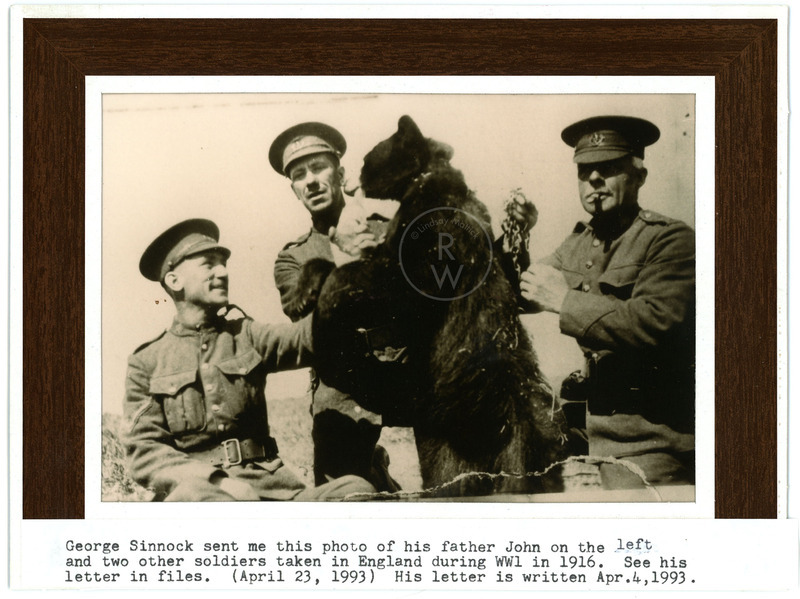 “Winnie with John Sinnock,” Remembering the Real Winnie: The World's Most Famous Bear Turns 100, accessed April 25, 2019, http://therealwinnie.ryerson.ca/collection/items/show/48.